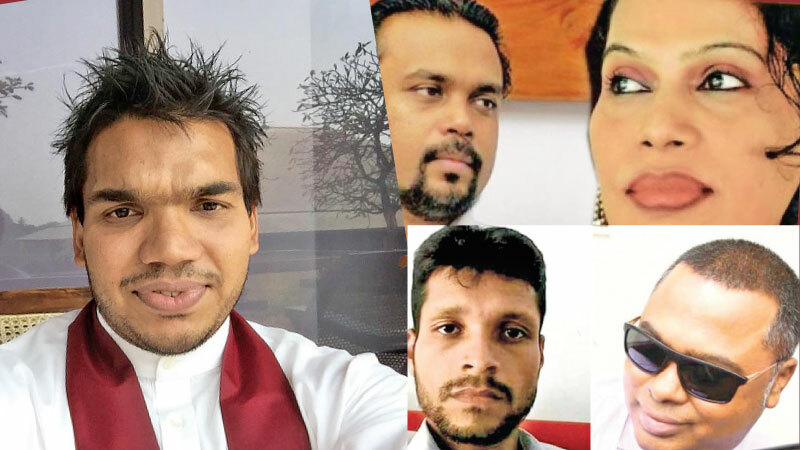 The Criminal Investigations Department (CID) yesterday informed the Colombo Fort Magistrate that they expect to record statements from MPs Namal Rajapaksa, Wimal Weerawansa and his wife Shashi Weerawansa. This is regarding ongoing investigations pertaining to Indian National Mersily Thomas, who was in remand custody over the plot to assassinate the President, the former Defence Secretary and SSP Prasanna Alwis. The CID informed court that the investigations conducted so far have revealed that Thomas who is in remand custody had met MPs Namal Rajapaksa, Wimal Weerawansa and his wife at their residences. Colombo Fort Magistrate Priyantha Liyanage further remanded former Terrorism Investigation Division (TID) Director, DIG Nalaka de Silva and Indian National Mersily Thomas till January 21 yesterday. Attorney Ajith Pathirana appearing on behalf of DIG Nalaka Silva informed court that the CID had not taken any action to arrest Anti-Corruption Movement Operations Director Namal Kumara. Pathirana said that Namal Kumara had submitted forged educational certificates (GCE A/L) and (GCE O/L) to the Air Force and the Army.There is sufficient evidence to arrest Namal Kumara, the counsel added. The CID also stated that they have already begun an investigation into the conduct of Namal Kumara. The CID stated that court issued an order restraining Anti-Corruption Movement Operations Director Namal Kumara from making any statements to the media regarding the plotting to assassinate SSP Prasanna Alwis, President Maithripala Sirisena and former Defence Secretary Gotabhaya Rajapaksa. The CID further stated that they recently retrieved deleted conversations from Kumara’s phone with the assistance of the Government Analyst and the Data Experts Company in Hong Kong. Filing a further report before court, the CID informed court that IGP Pujith Jayasundara was summoned to the Government Analyst’s Department to obtain voice samples to test whether those statements tally with the audio recordings stored in Namal Kumara’s mobile phone. Attorney Ajith Pathirana also informed that his client needed more medical care.Counsel further stated that his client was suffering from a serious health issue.Counsel also submitted his medical report before court. Pathirana stated that the General hospital has informed them that they cannot keep Nalaka Silva any more due to the shortage of beds there. The Magistrate called a report from the Prison authority whether there is sufficient treatment for his health condition or not. The Magistrate fixed further inquiries for January 21.